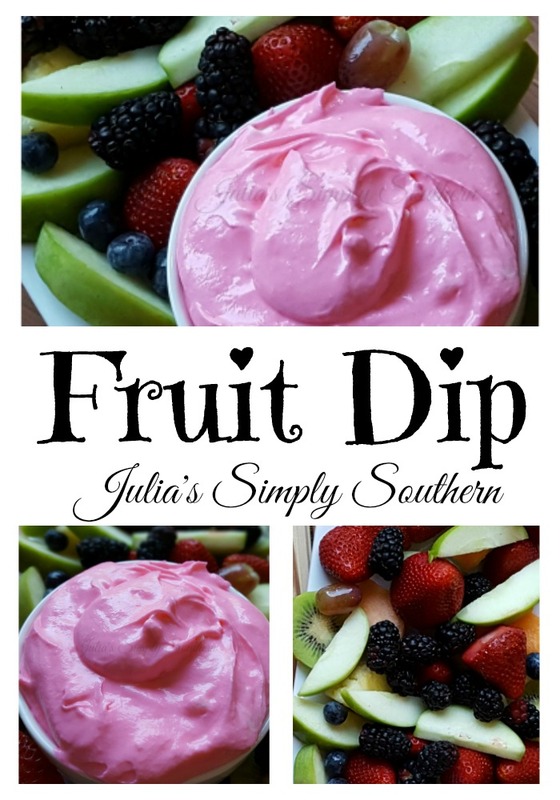 This classic fruit dip is a favorite appetizer or dessert. You can make it with as little as two ingredients. I use three, with the addition of some food coloring for a touch of color. I’ve been making this easy recipe for at least twenty years. Did I really just tell y’all that?? HA! Serve this at your next gathering with a platter of fresh fruit, berries and melon and watch it disappear! In a small mixing bowl, combine marshmallow creme and cream cheese. You can use a hand mixer to do this but I find that just giving it a good stir with a spoon works just fine. Add a few drops of food coloring, if using, and stir to incorporate. Serve with an assortment of fresh fruits, berries and melon as an appetizer or dessert. In a small mixing bowl, combine marshmallow creme and cream cheese. (Optional) Add a few drops of your favorite food coloring color and mix to combine. Serve with an assortment of fresh fruits, berries and melon. Yummy Fruit Dip! Thanks so much for sharing your great post with us at Full Plate Thursday, I really appreciate you sharing with us!